SeeSaw is my favorite elementary app ever (for these 12 reasons). 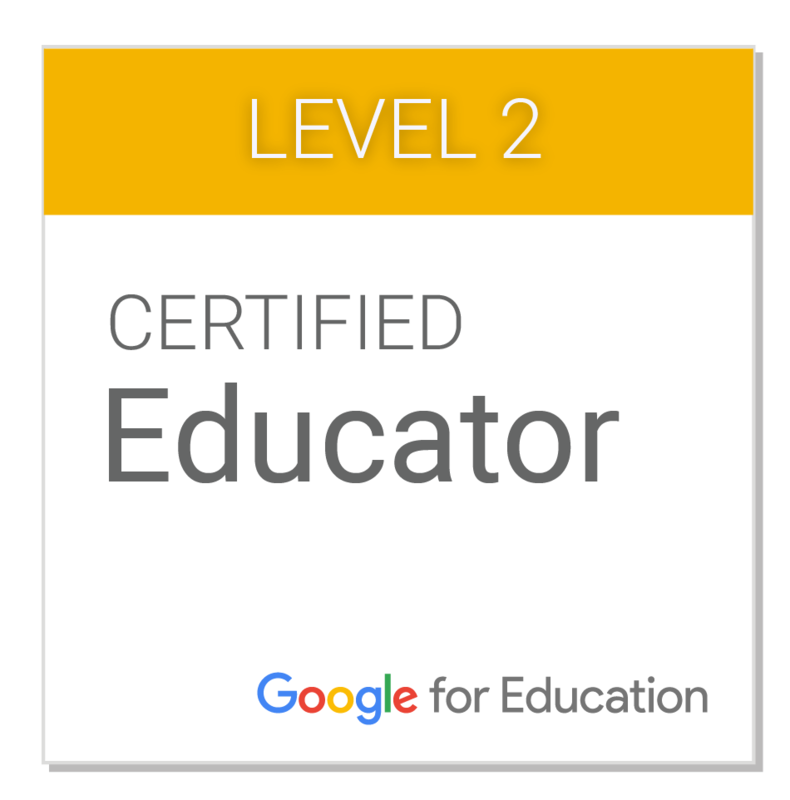 But no matter how much I talk about it, describe it, and recite poetry devoted to it in my trainings (not really...but maybe someday), sometimes a hesitant teacher just needs to experience SeeSaw to get what it's all about. 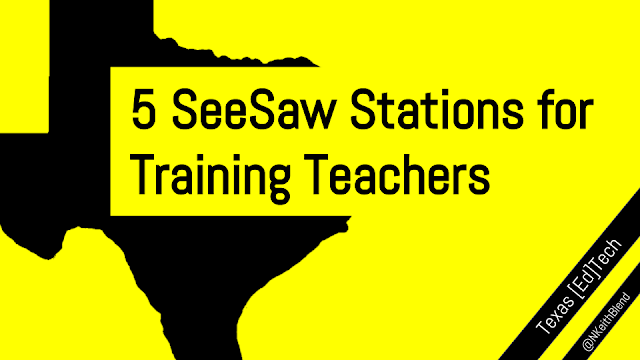 To help spread the SeeSaw love, here are five training stations primary teachers can rotate through and use SeeSaw like a student. The first four stations are aligned to Texas state standards (TEKS) for K-2nd, and the last station focuses on classroom rules and routines. Enjoy! Teachers use the photo feature to go on a 3-D shape scavenger hunt looking for cylinders, cones, spheres, and cubes. They then use the voiceover and drawing feature to identify the figure they found. After reading "Cinderella," teachers identify the beginning, middle, and end of the story using this graphic organizer. Once they've written their response, they'll take turns recording each other retelling the story using SeeSaw's video feature. Participants will complete a card sort and put the steps of a chicken's life cycle in the correct order. Then using SeeSaw's drawing tool, they'll create their own representation of a chicken's life cycle, narrating what happens in each step. Using Base 10 blocks (printable), teachers model a number between 1 and 120. Then they use the hundreds chart to find patterns of "10 more/10 less." Finally, they record an explanation of the patterns they found on the hundreds chart using SeeSaw's video tool. Teachers choose a classroom rule, then create a short commercial to explain and demonstrate it to the class. Seymour Papert vs. The "Teaching Machines"
There's a classic image in cartoons: the main character has a moral choice to make, and there's a little angel version of themselves on one side, and a little devil version on the other. Who will they listen to? What will they do? Will they follow their better selves or concede to their darker natures? Those of us in edtech (teachers, coaches, administrators, vendors) have a similar decision. Only for us, the consequences aren't as cartoonish as the possible flattening of the RoadRunner with an ACME brand anvil, and the characters whispering in our ears aren't haloed or horned. On our right shoulder is Seymour Papert, on our left is B.F. Skinner and his "Teaching Machines." 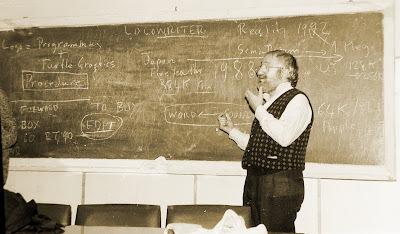 Seymour Papert is the visionary behind the idea that the child should program the computer, the computer shouldn't program the child. To Papert, students should use technology to explore the world around them, create, play, and explore. (Papert's responsible for a whole lot more...check out Dr. Gary Stager's TEDx talk). 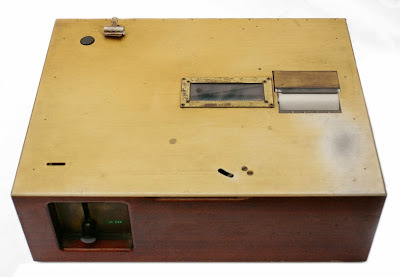 B.F. Skinner's "Teaching Machines," on the other hand, were specifically created to program the child through behaviorist response/reward reinforcement. Students saw a sentence or an equation and wrote their answer in the blank space on the right. If they were correct, they moved on. If not, they were given carefully sequenced information in the smallest of steps to teach them the missing material. Skinner saw his machines as being able to take over all the instruction in a classroom, which he envisioned becoming as "mechanized as the kitchen." In my mind, "Papert vs. 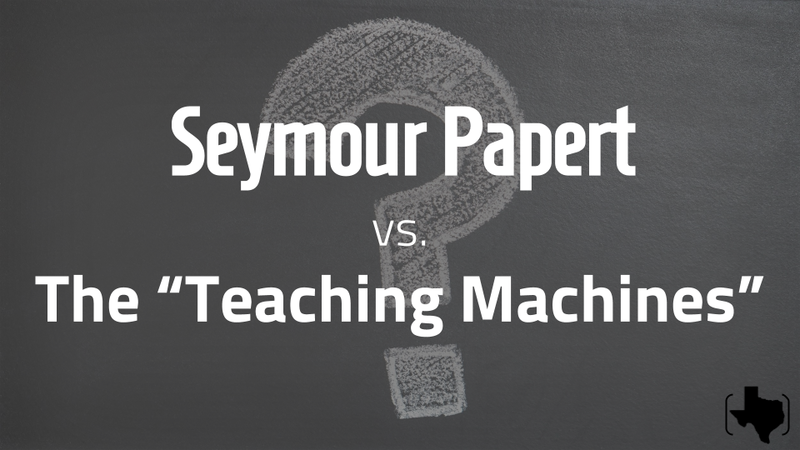 The Teaching Machines" is the choice that faces everyone involved in edtech, every single day. 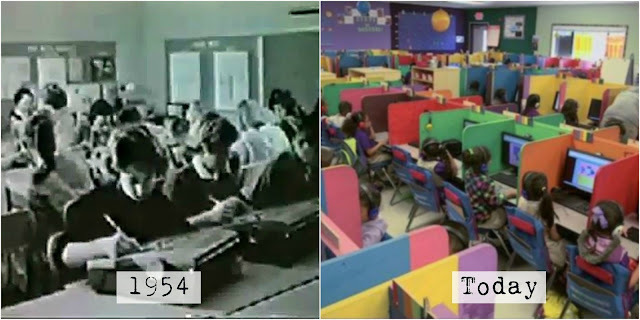 Are we going to take the time to develop Papert's rich learning experiences where students program, design, collaborate, inquire, discover, and create? Or are we going to remand our students to call center cubicles, hand them their headphones, and outsource all our instruction to the 21st century version of Skinner's machines? How do we get students to interact with history? 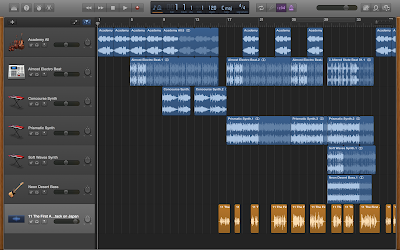 I was messing around with GarageBand on my new MacBook Pro a few days ago, and I started to explore Apple Loops, GarageBand's built-in loop library. 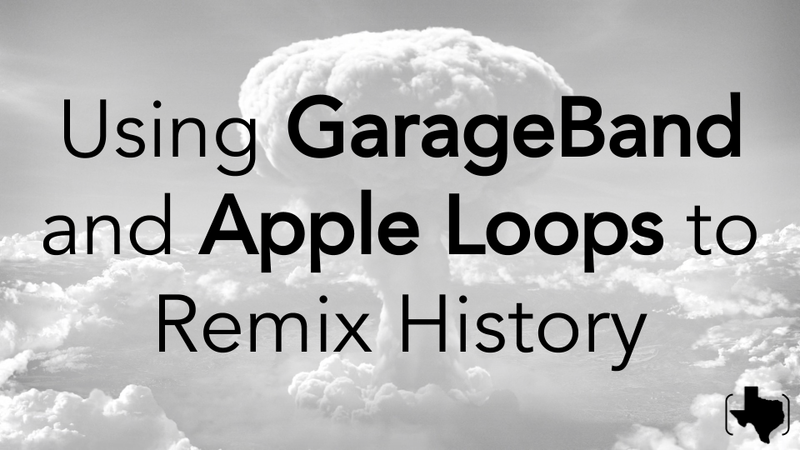 If you're not familiar with loops, they're repeating sections of sound patterns that you can drag-and-drop into GarageBand to create some really interesting instrumental tracks. The best part of using a loop library is that you don't have to have any formal training to create some killer sounding music. I started to think about how we could use this with students, and I wondered what it would be like to layer some spoken audio over the top of what I'd made. Since presidential speeches are in the public domain, I found a 30-second clip of Harry S Truman addressing the nation after dropping the atomic bomb on Hiroshima. 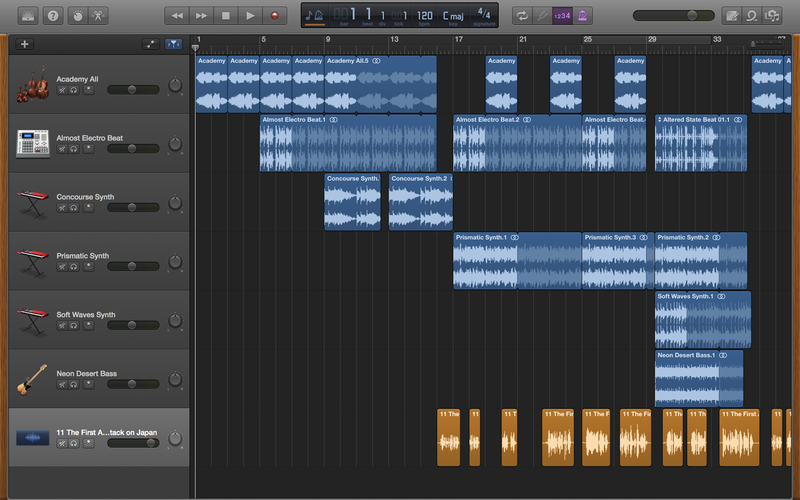 I downloaded it, brought it into GarageBand, and listened, thinking about how I could make it fit. I had to really listen to Truman's speech. Nuance, breaks, emphasis, inflection...they all became important because they all became part of the tapestry of sound I was creating. I'd never noticed the slightly unsettling glee in Truman's voice when, right after announcing the bomb had been dropped, he informs America that "We won the race of discovery against the Germans." Or that part of the rationale of the attack was "to shorten the agony of war," a claim that with 70 years of hindsight and unintended consequences, seems completely and painfully absurd. I found it very interesting that by chopping, rearranging, repeating, trimming, and remixing, I was forced to interact with the speech (and the event) in a way I never would have by passively listening to it. So as you think about what historical figure or event your students will study next, ask yourself how they can remix it and make it their own. They'll blow you away with what they can do.